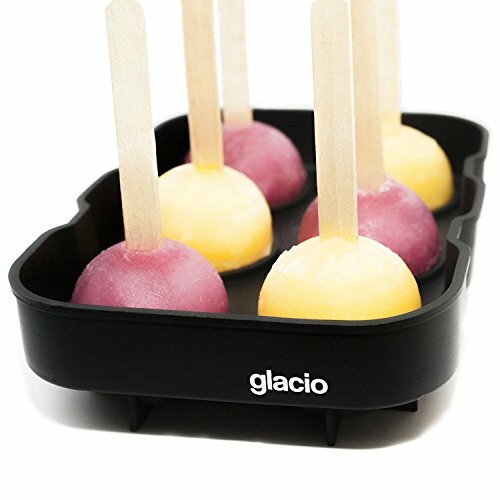 SIMPLE NON-STICK DESIGN - Unlike stiff plastic ice cube trays, our flexible ice trays are made of durable silicone. These flexible ice molds can be easily twisted or pushed from the bottom to remove ice cubes for an easy release. 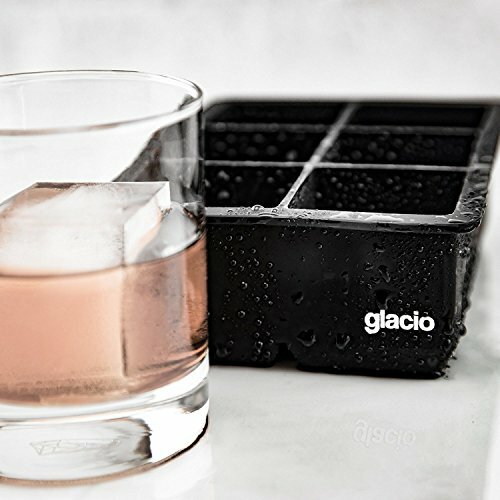 SQUARE ICE CUBES - Our jumbo square molds creates 6 giant cubes at 2 inches each. 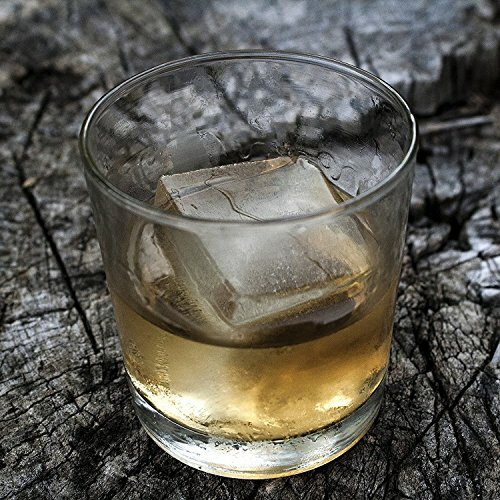 More than a novelty, big ice slowly melting, making them ideal for your Old Fashioned, Scotch Whisky, Bourbon or Blended Whiskey. 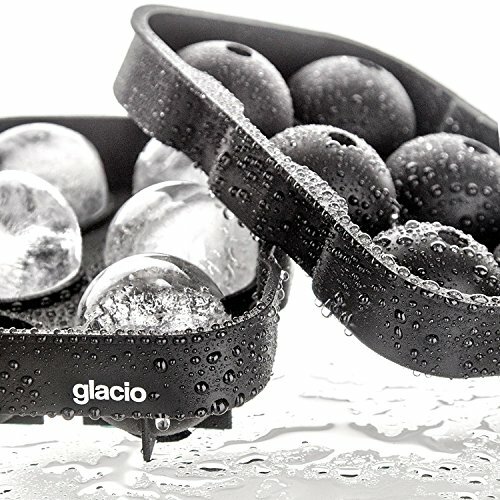 Perfect for chilling your cocktail glass! 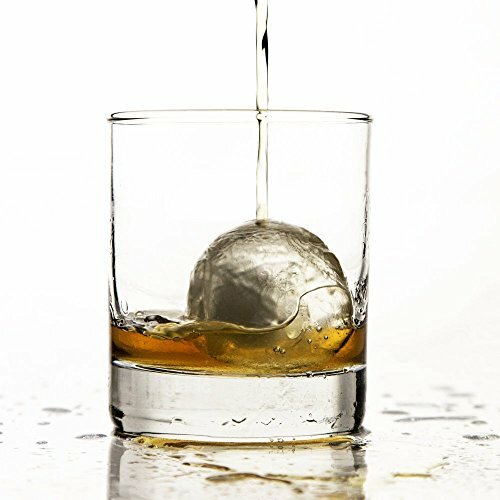 SPHERICAL ICE BALL MOLD - Better than other round ice makers with 4 slots, our ice molds create 6 ice balls or spheres. Use them to cool your craft cocktails, iced cold brew coffee, popsicles, infused mint for Mojitos, or frozen lemonade. 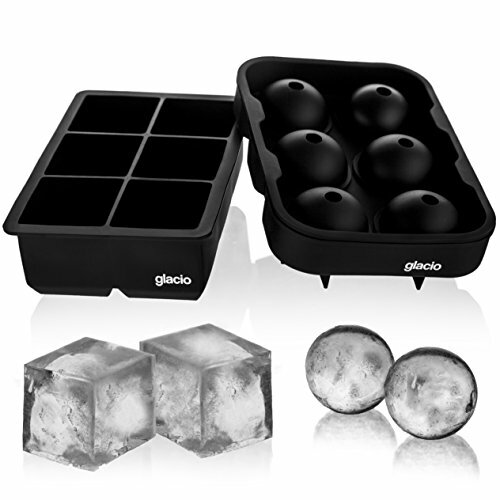 FOOD GRADE SILICONE - glacio's BPA free black silicone ice trays are 100% safe and effective at freezing liquids like fruit juice, soup, and even baby food. Better yet, each tray is easy to clean off quickly and they're dishwasher safe. 100% MONEY BACK GUARANTEE - We are so confident you'll think we have the best silicone ice molds on the market that we make every order with a complete money back guarantee. 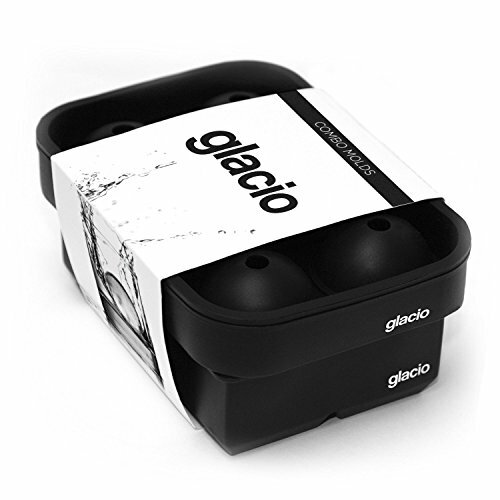 So try our ice mold combo sets and chill your drink with ice that lasts!